The first Women’s March in 2017 was led by four co-chairs. This month, the Women’s March convened a Steering Committee of 32 diverse women leaders to help guide policy goals and moral vision. Our founder Valarie Kaur has accepted the invitation to serve as a voice for revolutionary love within this fierce movement of women. In joining with the steering committee of the Women’s March, the Revolutionary Love Project commits to advocate for all vulnerable communities. We commit to march against antisemitism and all forms of racism, bigotry and hatred. We choose to march because we believe in the power of a movement of women, and know if we do the hard, messy work of coming together, our #WomensWave will rise high enough to break down any wall in our way. 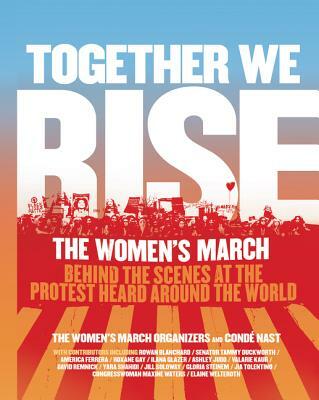 Scroll down to read an excerpt from Valarie’s essay in Together We Rise, a compilation of essays by activists who participated in the 2017 Women’s March, the largest single-day global protest in history. 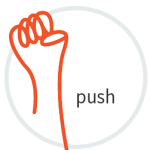 Then learn how to join a march near you on Saturday, January 19th, and find out about a community care mediation tool we’ve developed in partnership with the tech team at Binaural Dream — BREATHE & PUSH. We believe that love can center our movement and anchor our activism. Thank you for standing — and for MARCHING — together with us! You can click here for Revolutionary Love signs to take with you to march! On Election Night, the future never felt darker. Each hate crime, incitement to violence, and deadly proposal during the election season had hurt me from the inside. As a new mother to a little brown boy, I had to confront the painful truth: our generation of activism had not made the nation safer for my son. The last time I remember being in so much pain was on the birthing table. The gripping despair I felt on election night brought back the pain of my labor so sharply I could not ignore the parallel. I began to ask a question that became the only shape my mouth could make: What if this darkness is not the darkness of the tomb but the darkness of the womb? I got my answer on the day of the Women’s March, carrying my son in my arms into the streets of downtown Los Angeles. In an instant, we became part of one roaring river of music and longing, grief and outrage, defiance and joy. Women across the U.S. and around the world marched that day, holding up signs that answered my question: This is the darkness of the womb. We were birthing something new. Millions were choosing life over death in one collective breath. Then it began: the onslaught of executive orders, Muslim bans, border walls, pipelines, budget cuts, and hate crimes harming the most vulnerable among us, including my Sikh community. We have barely had a chance to breathe between the crises. But my own family´s century-long history here reminds me that white supremacy, nationalism, and racism are as old as the U.S. Policy wins alone will not solve the conditions that gave rise to this presidency. We need a new public ethic to birth a new future, a public ethic of Revolutionary Love. As a lawyer, I have cringed at the word love. American culture too often mistakes ¨love¨ for the experience of falling in love — that delirious rush of oxytocin that happens to us if we are lucky. If this is our only definition, then of course love is too fickle, sentimental, and ephemeral to be a political force. But after I became a mother, I saw love with new eyes, redefined. Love as mothering is a form of sweet labor that transforms and births anew. Love is not any one emotion but employs many emotions in that labor: Joy is the gift of love. Grief is the price of love. Anger is the force that protects it. Historically, the labor of love has been confined to the domestic sphere. Yet mothering is not biologically determined but a capacity within each of us. Spiritual geniuses from Buddha to Jesus, Mohammed to Guru Nanak, called us to practice love beyond family and tribe. Social justice leaders from Gandhi to King to Day grounded their movements in love to free the oppressed without hating the oppressor. Such love disrupts the status quo, confronts injustice, and shifts collective consciousness. The Women´s March was a declaration of love. This Revolutionary Love—love for others, opponents, and ourselves—is the call of our times. On January 19, 2019, we’re going to flood the streets of Washington, D.C., and cities across the globe. The #WomensWave is coming, and we’re sweeping the world forward with us. Click here to download and print Revolutionary Love signs to take with you to the march. We believe that the only way we can sustain our labors for justice through the challenges of 2019 is by caring for our bodies and minds. So we’ve worked with the tech innovators at Binaural Dream to bring you a new tool for the new year, “BREATHE & PUSH” — a meditation pack designed to support deep breathing as we work for justice. 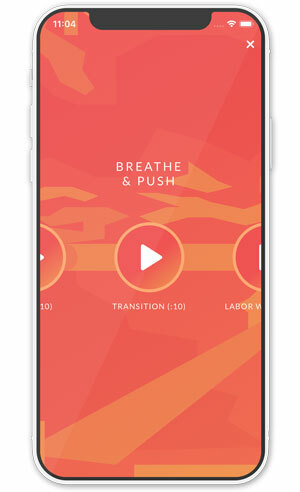 The pack consists of 4 musical compositions: Breathe, Push, Transition, and Labor with Love. It works as a powerful daily meditation practice. We invite you to start meditating with us! Listen to “Breathe & Push” for free between now and MLK Day, Monday, January 21st. 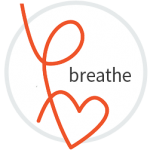 Just download the app and click on “Breathe and Push” at the top to get started. Or click to listen to a 30-second sound bath on Facebook, Instagram, and Twitter. * The Binaural Dream app is currently only available for iOS. Android coming soon!